The free video lectures for IIT JEE are strategically devised by the master faculties of EtoosIndia to help you ace the engineering exam. Students can boost their preparations with a wide variety of yearlong, complete, topic-based, problem-solving, final revision, and beginner courses. The teachers have made sure to lay an easy yet analytical approach towards subjects Physics, Chemistry, and Mathematics with these well-designed courses. With the IIT-JEE video lectures free download option, all aspirants are bound to quickly analyze the quality of these courses in one go. Choosing your own mentor is a major highlight of this section. The faculties are highly proficient in teaching for both JEE Main and Advanced exams. Not just they lend you their thought process but also help you acquire tremendous knowledge about a particular subject. 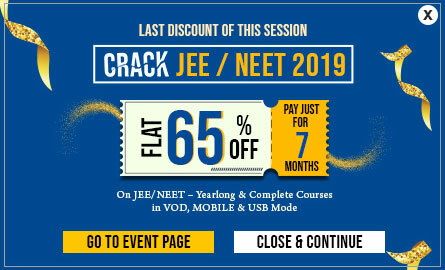 If you are anytime soon planning to attempt JEE, don’t forget to avail the IIT free courses from the best JEE free online coaching institute. Register Now!.